Rejuvenating the mid-face area without surgery helps you look younger. At Serrão Rejuvenation Center, Dr. John Serrão – a board certified gynecologist who specializes in anti-aging medicine and non-surgical rejuvenation of the face and neck – offers InstaLift thread lift for women in Orlando, Winter Park, and the surrounding areas of Florida. Cosmetic medical techniques have advanced greatly in recent years. Many aspects of facial aging can be addressed with safe and effective procedures that offer little downtime and natural-looking results. While wrinkles, brown spots, and lost volume can be treated with existing procedures, until now there has been no minimally invasive way to lift the deeper layers of mid-facial skin, one of the major contributors to an aged and tired appearance. Treatment For Non-surgical treatment used to lift and tighten sagging tissue in the mid to lower face. Can also be used to tighten sagging skin on the neck and jowls. Expected Result Results are immediate. You will notice improved fullness in the face with greater definition in the contours of the face and jaw. Are you suffering from early signs of jowls and skin laxity, but don’t want to undergo a full surgical facelift? Serrão Rejuvenation Center may have your solution, Silhouette InstaLift. Dr. John Serrão is proud to be one of the first physicians in Central Florida to offer Silhouette InstaLift, a simple in-office procedure to re-contour your face to reveal a more youthful appearance. This non-surgical facelift takes about 45 minutes to perform with minimal downtime and reveals instant, long-lasting results that only improve over time. Dr. Serrão will discuss whether this technique is suitable for you and will create a treatment plan to ensure you achieve the results you desire. Combination therapy may be recommended for optimal cosmetic results, all of these options will be discussed with you during your consultation to meet your individualized needs. We are excited to offer Silhouette Instalift to our patients who “need a lift” and want facial rejuvenation without the anesthesia, incisions, scarring, and recovery time of a traditional facelift surgery. Silhouette InstaLift is a non-invasive alternative to a traditional surgical facelift. It helps to address volume loss as well as skin laxity by not only lifting the skin, but also through long-term collagen production. Specially formulated dissolvable sutures with bi-directional cones are used to mechanically fix deep tissue until collagen production ensures biological tissue fixation. The lifting caused by InstaLift can be more finely controlled. Combined, these advantages result in long-lasting results, while avoiding the potential side effects once experienced by patients who chose previous versions of thread lifting using permanent sutures. Silhouette InstaLift is an outpatient procedure performed under local anesthesia. You will remain awake and alert during the procedure, but will be unaware of any pain. The procedure takes about one hour and is performed in our office surgical suite. You will be able to leave immediately following the procedure. For facial rejuvenation, Dr. Serrão will inject a small amount of local anesthetic to ensure your comfort during the entire Silhouette InstaLift procedure. No incisions will be made and our patients describe the procedure to be very comfortable. Depending on the desired lift and Dr. Serrão’s assessment, the recommended number of Silhouette sutures will be inserted and pulled back to lift the lower and mid face. Another major benefit of the Silhouette InstaLift non-surgical facelift is the lack of any major downtime. Most patients experience some mild soreness, minimal swelling and slight bruising following the procedure. You can resume normal activities within two to four days. Expect about 10 to 14 days for the skin to fully recover to its natural aspect. Our caring team will provide you with all pre-procedure and post-procedure instructions. Starting around age 40, many people start to notice a sagging in the cheeks and face. Traditionally, the only option to improve the tightness of facial tissue was with a surgical facelift. Today, the face can be reshaped using a minimally invasive procedure known as Silhouette InstaLift. 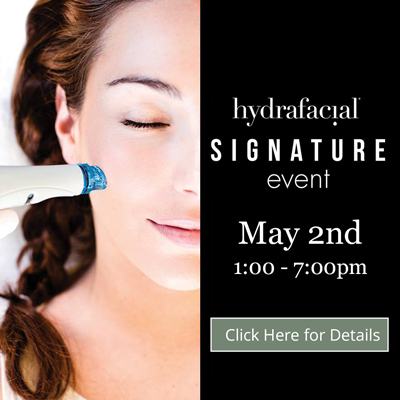 This innovative technique is an excellent alternative to facelift, as it lifts sagging facial tissue and redefines the contours of the face without major surgery — all in about one hour with virtually no downtime. The traditional facelift is a major surgical procedure that is performed in a hospital or surgical center. General anesthesia is required to keep the patient comfortable during the surgery. We will make a small incision along the hairline and behind the ear lobe. The skin is loosened from the face and pulled outward to expose underlying muscle and connective tissue. The skin is then re-positioned and sutured into place. Excess skin and fat are trimmed away. Staples or additional sutures may be used to secure the results and promote healing. The face is wrapped in surgical gauze to cover the incision site for one to two days. After one week, the sutures are removed. Complete healing takes about two to four weeks. There are many alternatives to facelift, depending on your age, skin condition, and goals. Some of these procedures will not replace or deliver the results of a traditional facelift if you are not an ideal candidate for these alternative procedures. Silhouette InstaLift is quickly becoming the best alternative to a traditional facelift, offering exceptional results with minimal downtime and recovery at a fraction of the cost. Compared to other options such as injectables, Silhouette InstaLift is much longer lasting with natural-looking results. Dr. Serrão has been performing thread lifts for years and was an instructor for the original Silhouette Lift. InstaLift provides a vast improvement thanks to the use of dissolvable threads and cones made up of a synthetic material called poly-L-lactic acid, which is also used in Sculptra Aesthetic, a favorite volumizer used by many of our patients. This material slowly disintegrates as the body creates scar tissues, which provides a natural lift for the face where the sutures were originally placed. The InstaLift sutures stimulate collagen production, allowing for a regenerative effect that means the skin will continue to look healthier, firmer, plumper and more youthful over time. The Silhouette InstaLift is the facelift that keeps on working after the initial procedure. Dr. Serrão is a Preferred Provider of the Silhouette InstaLift. You may not need a surgical facelift to look younger. At Serrão Rejuvenation Center, Dr. John Serrão, a board certified gynecologist who specializes in anti-aging medicine and non-surgical rejuvenation of the face and neck, offers InstaLift thread lift for women in Orlando, Winter Park, and the surrounding areas of Florida. Contact us to schedule a consultation and begin your rejuvenation today. Rejuvenating the mid-face area without surgery helps you look younger. At Serrão Rejuvenation Center, Dr. John Serrão – a board certified gynecologist who specializes in anti-aging medicine and non-surgical rejuvenation of the face and neck – offers InstaLift™ thread lift for women in Orlando, Winter Park, and the surrounding areas of Florida. Treatment For – Non-surgical treatment used to lift and tighten sagging tissue in the mid to lower face. Can also be used to tighten sagging skin on the neck and jowls. Expected Result – Results are immediate. You will notice improved fullness in the face with greater definition in the contours of the face and jaw. Are you suffering from early signs of jowls and skin laxity, but don’t want to undergo a full surgical facelift? Serrão Rejuvenation Center may have your solution, Silhouette InstaLift™. Dr. John Serrão is proud to be one of the first physicians in Central Florida to offer Silhouette InstaLift™, a simple in-office procedure to re-contour your face to reveal a more youthful appearance. This non-surgical facelift takes about 45 minutes to perform with minimal downtime and reveals instant, long-lasting results that only improve over time. Silhouette InstaLift™ is a non-invasive alternative to a traditional surgical facelift. It helps to address volume loss as well as skin laxity by not only lifting the skin, but also through long-term collagen production. Specially formulated dissolvable sutures with bi-directional cones are used to mechanically fix deep tissue until collagen production ensures biological tissue fixation. The lifting caused by InstaLift™ can be more finely controlled. Combined, these advantages result in long-lasting results, while avoiding the potential side effects once experienced by patients who chose previous versions of thread lifting using permanent sutures. Silhouette InstaLift™ is an outpatient procedure performed under local anesthesia. You will remain awake and alert during the procedure, but will be unaware of any pain. The procedure takes about one hour and is performed in our office surgical suite. You will be able to leave immediately following the procedure. For facial rejuvenation, Dr. Serrão will inject a small amount of local anesthetic to ensure your comfort during the entire Silhouette InstaLift™ procedure. No incisions will be made and our patients describe the procedure to be very comfortable. Depending on the desired lift and Dr. Serrão’s assessment, the recommended number of Silhouette sutures will be inserted and pulled back to lift the lower and mid face. Another major benefit of the Silhouette InstaLift™ non-surgical facelift is the lack of any major downtime. Most patients experience some mild soreness, minimal swelling and slight bruising following the procedure. You can resume normal activities within two to four days. Expect about 10 to 14 days for the skin to fully recover to its natural aspect. Our caring team will provide you with all pre-procedure and post-procedure instructions. Starting around age 40, many people start to notice a sagging in the cheeks and face. Traditionally, the only option to improve the tightness of facial tissue was with a surgical facelift. Today, the face can be reshaped using a minimally invasive procedure known as Silhouette InstaLift™. Silhouette InstaLift™ is quickly becoming the best alternative to a traditional facelift, offering exceptional results with minimal downtime and recovery at a fraction of the cost. Compared to other options such as injectables, Silhouette InstaLift™ is much longer lasting with natural-looking results. Dr. Serrão has been performing thread lifts for years and was an instructor for the original Silhouette Lift. InstaLift™ provides a vast improvement thanks to the use of dissolvable threads and cones made up of a synthetic material called poly-L-lactic acid, which is also used in Sculptra Aesthetic, a favorite volumizer used by many of our patients. This material slowly disintegrates as the body creates scar tissues, which provides a natural lift for the face where the sutures were originally placed. The InstaLift™ sutures stimulate collagen production, allowing for a regenerative effect that means the skin will continue to look healthier, firmer, plumper and more youthful over time. The Silhouette InstaLift™ is the facelift that keeps on working after the initial procedure. Dr. Serrão is a Preferred Provider of the Silhouette InstaLift™. You may not need a surgical facelift to look younger. At Serrão Rejuvenation Center, Dr. John Serrão, an anti-aging specialist, expert in non-surgical rejuvenation of the face and neck, and board certified gynecologist, offers InstaLift™ thread lift for women in Orlando, Winter Park, and the surrounding areas of Florida. Contact us to schedule a consultation and begin your rejuvenation today. Silhouette InstaLift is a non-surgical facelift technique that utilizes Silhouette Sutures to lift and suspend the mid to lower face. This innovative technique offers greater lift compared to similar procedures due to the unique bio-resorbable cones located along the sutures. It is additional the only procedure of its kind available with FDA approval. Silhouette InstaLift is for women with mild to moderate facial sagging, primarily in the mid to lower face. While age alone is not an indication, most Silhouette InstaLift patients are age 35 to 50 and have reasonable expectations. Silhouette InstaLift does not replace a facelift. For patients with significant facial sagging, a surgical facelift may be the best option. Is Silhouette InstaLift an Alternative to a Traditional Facelift? For patients age 35 to 50 with mild to moderate facial sagging, Silhouette InstaLift is an effective alternative to the traditional facelift. However, Silhouette InstaLift does not replace a facelift, which may still yield the best results for certain patients. Silhouette InstaLift may be used to effectively postpone a traditional facelift for many years. Who is the Ideal Candidate for a Traditional Facelift? A traditional facelift is often the best option for patients who have severe facial sagging. Where Can Silhouette InstaLift Be Used? Silhouette InstaLift is primarily used in the face to improve the appearance of sagging facial tissue. The procedure is currently being evaluated for use of neck rejuvenation to improve sagging skin on the neck and jowls, as well as in the brow and forehead. Silhouette InstaLift is performed using only injections of local anesthesia that is administered by Dr. Serrão. Patients are very comfortable and experience minimal discomfort during the InstaLift procedure. Most patients feel a little stinging during the initial local anesthetic injection and after they are numb, feel no pain at all during the suture placement. Where is the Silhouette InstaLift performed? 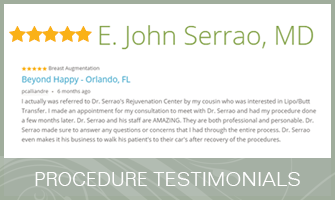 Dr. John Serrão performs non-surgical Silhouette InstaLift in the office setting at Serrão Rejuvenation Center located in Orlando. The Silhouette InstaLift procedure usually takes about one hour. What is the Cost of the Silhouette InstaLift? The cost of any procedure varies from patient to patient dependent on the level of correction that is needed and the number of sutures that will be placed. All of our fees will be discussed with you during your consultation and package pricing is offered. You will find our fees to be very fair and competitive for the Orlando area. Several financing options are also available at Serrão Rejuvenation Center. We welcome you to call our office for more details on fees, and be sure to check out our current specials. Yes, Silhouette Sutures have been approved by the FDA and received the CE mark in Europe. These approvals are unique for this type of procedure. Over 22,000 Silhouette Lift procedures have been performed to date in over 55 countries. As with any surgery, there are risks and side effects. Those associated with Silhouette InstaLift are mild and rare. What is the Downtime After the Silhouette Instalift? There is very little downtime associated with Silhouette InstaLift. You may experience some mild soreness with minimal bruising and swelling immediately following the procedure. Most patients resume normal activities within two to four days. It typically takes 10 to 14 days for the skin to fully recover. You can expect a noticeable improvement in the lift and firmness in the area treated. Results are natural looking, making you appear less tired and more refreshed. Your facial appearance will remain the same, there will not be a ‘pulled’ or ‘tight’ look that is often associated with a traditional facelift. Silhouette InstaLift has proven to last up to two years in some patients. It is possible to increase the longevity of the lift through replacing Silhouette sutures or adding more sutures at a later time and as recommended by Dr. Serrão. Dr. Serrão takes pride in creating natural-appearing results with a look of subtle perfection. He possesses good judgment and is conservative in his approach of facial rejuvenation to the mid and lower face. Your Silhouette InstaLift procedure will be performed by Dr. Serrão and will not be performed by his assistant. Women from around the world seek his skill and artistry for non-surgical facial rejuvenation procedures. How Do I Learn More About Silhouette Instalift? Schedule a consultation to learn more about the Silhouette InstaLift. The educational consultation is of great importance at Serrão Rejuvenation Center and our patients find it to be very informative. You will meet our caring team and tour our state-of-the art facility and AAAHC-accredited surgical center. Dr. Serrão and his cosmetic nurse, Larissa, are dedicated to answering all of your questions and will make you feel comfortable with their friendly demeanor. After reviewing your medical history, Dr. Serrão will listen to your concerns and expectations, perform a complete assessment, and educate you on the options that you have based on his expert recommendations. Together, you will develop a treatment plan that will fit your lifestyle and budget. You may choose to schedule the procedure at the time of your initial consultation, or you may decide at a later time. The consultation is about one hour and the fee (if applicable) will be applied towards the procedure or any purchase in our practice. Whatever your decision, it will be our pleasure to assist you in any way that we can.